Bo Bice rocking on "Voodoo Child"! Channelling Jimi Hendrix for sure! It comes courtesy of The BiceSquad.net great fan-site for news and fan info! (I have them featured in my links) This video clip is several minutes long and eventhough taken by someone in the audience, not bad quality! Would love to have their seats! Once you click on the link, be patient, your first download will take a little over 2 minutes, but after that, it will load quickly for you every time (30 secs)! Enjoy! I know I did! 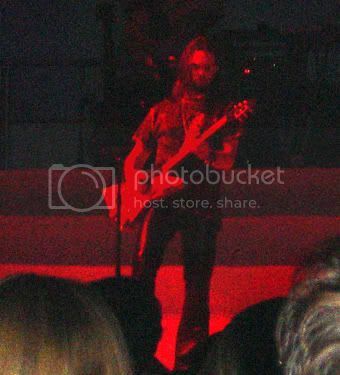 Rock on Bo Bice!